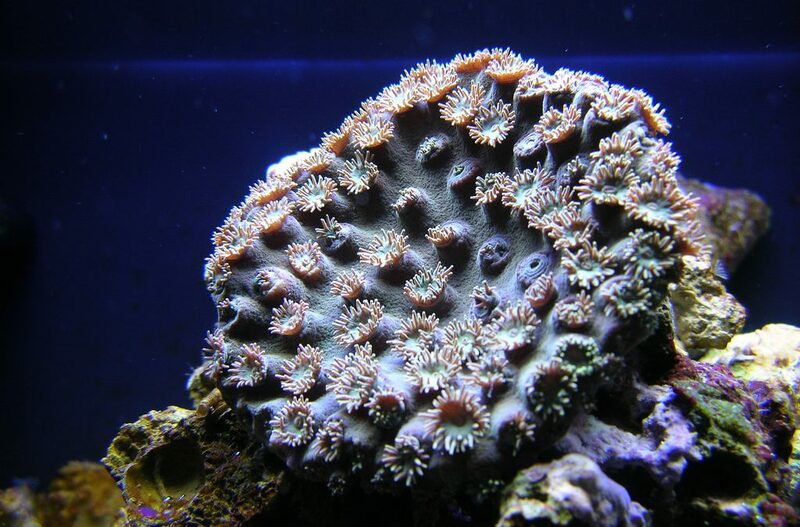 Turbinaria is an SPS coral often referred to as Pagoda Cup Coral. Nicer varieties are generally Yellow or Green. This is a good choice for those who want to try growing SPS but want to start with a less demanding variety. 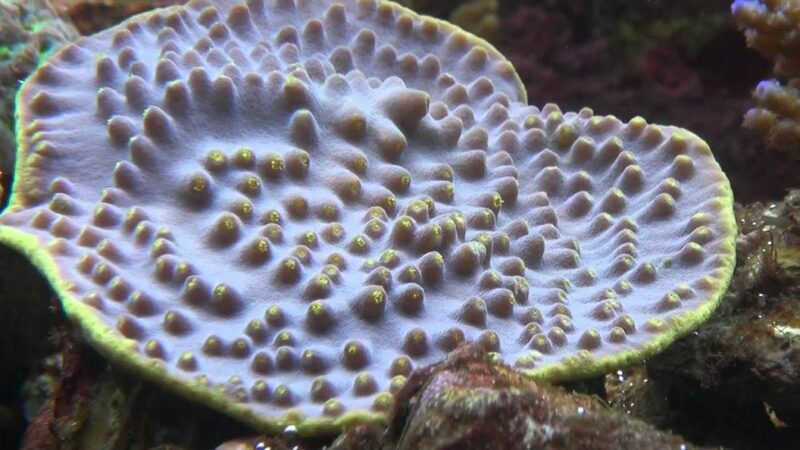 This coral grows in a cup shape that can be distorted into interesting shapes depending on water flow. This coral is peaceful, but it grows quickly and needs to be given space or it may block out light from corals placed too close. Unlike many SPS corals that require high light and flow, it will do best with medium light and flow. For best growth feed with various forms of zooplankton.